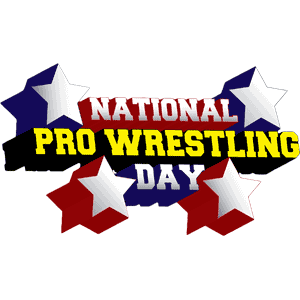 Professional wrestling is the latest to make up their own “day” and tomorrow a whole host of independent companies join together in Philadelphia, PA for National Pro Wrestling Day. Click “read more” to see the lineups for both the afternoon and evening cards, featuring stars from companies like CHIKARA, Ring of Honor, and Resistance Pro, plus info on how to watch the shows on iPPV if you can’t make it to see the shows live. For the past few months, rumors have floated around that indie star El Generico was on his way to the WWE. Well it appears that these rumors are indeed true. As first reported by PWPonderings, “The Generic Luchador” is making his way to Stamford, CT. According to PWInsider, who confirmed the story with their sources, one of the reasons the WWE is so interested in Generico is because of his ability to speak many different languages; it is believed that this could help the wrestling juggernaut in international markets. Also he’s insanely popular on the indie scene and damn good in the ring, but that’s a moot point apparently. No word on if the Generico gimmick is going with the man, but here’s hoping. Having a crowd of 20,000 singing along to “Ole!” would be amazing on so many levels. Generico’s last big indy date was at last month’s Final Battle where he came up short in his bid to defeat ROH World Champion Kevin Steen. While initially pulled from PWG’s upcoming “DDT” tag tournament, it appears that he will be there in some form or another and it may be his last indie date for quite some time. While not surprising news, this is definitely big time stuff. Indie fans already know how great Generico is, and the potential is there to make a big splash in the WWE. But, as always, we’ll have to wait and see. If you dig the cut of my jib, follow me on Twitter or support the page by “liking” it on Facebook or following the Tumblr version. You can also leave a comment below or email me at theprowrestlingnerd[at]live[dot]com. 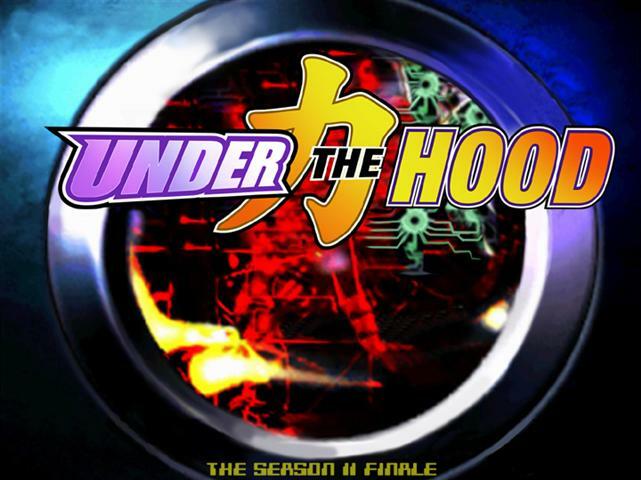 This Sunday, CHIKARA presents Under the Hood live on iPPV. This big show will “end” the 11th season of the promotion, so expect a whole lot of storyline payoffs and other important events to go down. Here is the scheduled lineup for the show, then check below for ordering information. CHIKARA’s Under the Hood 2012 airs this Sunday at 4pm/3pm Central. You can order the iPPV for 16.99 over at Smart Mark Video on Demand. 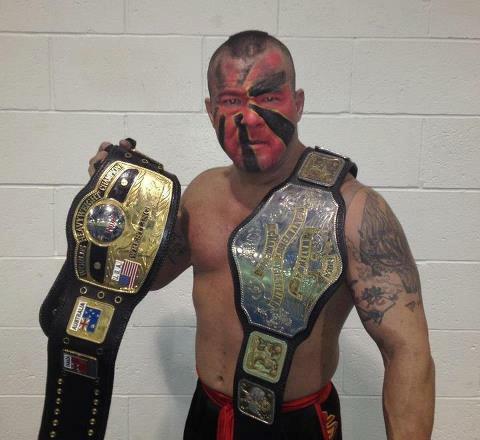 This statement is to acknowledge that “Tokyo Monster” Kahagas was authorized as a late entry to the NWA World Heavyweight Championship Tournament that took place in New Jersey last week – however – in view of the circumstances in which Kahagas became the NWA World Champion, the NWA Board of Governors has decreed that an immediate rematch shall be ordered between Kahagas and Damien Wayne with the NWA World Heavyweight Championship on the line. It is hereby ordered that this rematch shall take place this Friday night, November 9th at NWA Houston’s “Decision 2012” event. For event and ticket information visit www.nwahouston.com. As a courtesy to our fans, the NWA will post the results of this match as soon as possible thereafter, and release a videotape of the match on official NWA media outlets. Right away the new NWA is ready and willing to have the World Title defended all over its territory system and for that I commend them. Now it’s time to build momentum and regain the momentum lost due to Tharpe’s takeover a few months ago. I’ll definitely be checking the match out once it’s posted and will probably post it here too. On Friday, NWA DAWG played host to the crowning of a new NWA World Heavyweight Champion with an eight man elimination match featuring the top independent stars in the country as well as the NWA itself. But things took a completely different turn towards the end of the match and a man not even scheduled to wrestle, NWA National Champion Tokyo Monster Kahagas, joined in and became the new champion. Here’s the official press release of what occurred, courtesy of NWA Wrestling’s official Facebook page. On November 2 at NWA DAWG in Clayton New Jersey, Tokyo Monster Kahagas pinned Damien Wayne to become the new NWA™ World Heavyweight Champion. Kahagas was a last minute entrant in to a scheduled eight man elimination match that advertised Chance Prophet, Justin “The Gift” Kincaid [PW Nerd Note: It’s Jason Kincaid, actually], Lance Erikson, Anthony Nese, “Greek God” Papadon, “Phat Daddy” Biggie Biggs, Lance Anoa’i and Wayne. 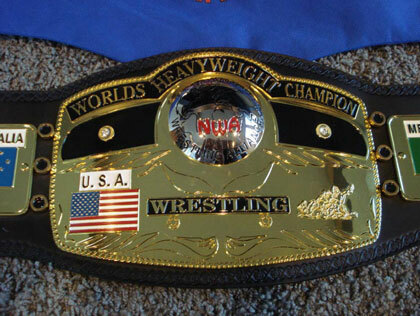 With only Wayne and Prophet remaining in the ring, Kahagas’ manager Dontay Brown emerged with the reigning NWA™ National Heavyweight Champion. Brown was on the phone with NWA President R. Bruce Tharpe. Brown informed NWA™ Head Official Fred Richards that Tharpe had approved Kahagas’ entry in to the match. Richards confirmed Brown’s claim by speaking directly with Tharpe and allowed Kahagas’ participation. Wayne then surprised Prophet with a quick pile driver and secured a three count. Shortly thereafter, Kahagas finished off Wayne with a “TMD” (Tokyo Monster Driver). So there you have it. Interesting turn of events to say the least. But like always when reporting NWA news I’m not familiar enough with the product to say anything intelligent or insightful so I’ll just leave it at that. Those of you familiar with ROH’s “Survival of the Fittest” will undoubtedly feel right at home with the structure of this match. Having little concrete knowledge of the NWA at large, I can’t give you a concrete prediction on who walks out with the title but one of those eight man will become the new face of the Tharpe-era NWA going forward so I hope they choose wisely. For more information on the event, including other matches signed, head to NWA DAWG’s Facebook. Although this gesture effectively vacated the NWA World Heavyweight Title, the NWA made it official on their website today via president Bruce Tharpe. Here’s what he had to say. The NWA™ World Heavyweight Title has been vacated. The Board of Governors wish former champion Adam Pearce the best in his future endeavors. There will be a new NWA™World Heavyweight Champion crowned on Friday, November 2nd in Clayton, New Jersey. So there you have it. The NWA World Heavyweight Title will once again have a new home come Friday and with Cabana and Pearce gone, I have no idea who they’re going to move to that spot. I won’t even venture a guess because I’m not informed enough to make an opinion of that stature. But it will be interesting to see who ends up with the title and who Tharpe and company decide to have represent the new NWA going forward.